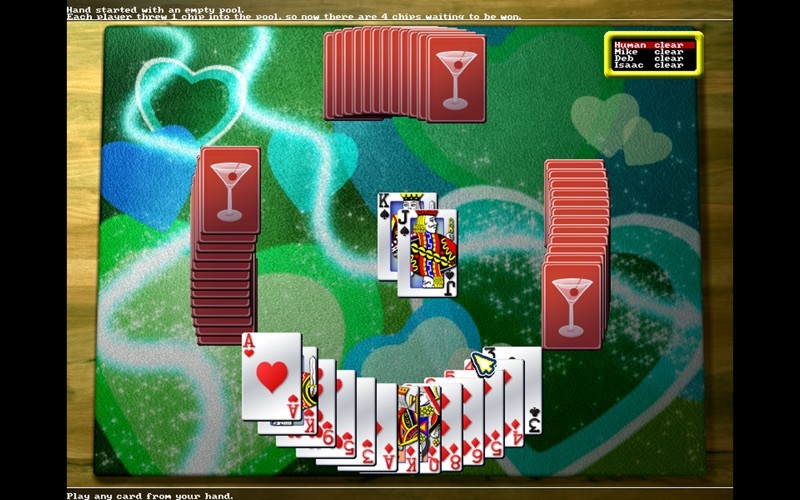 Play the classic card game Hearts on your computer. Compete against the computer's AI players for a real challenge. 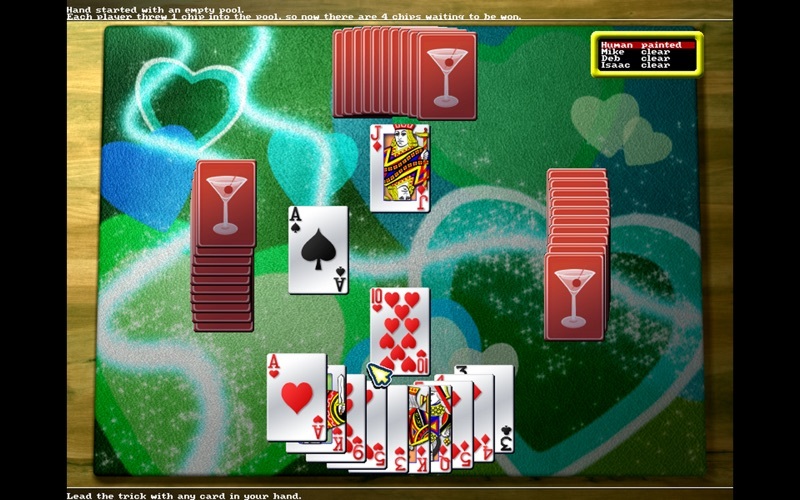 A regular deck of 52 cards is used. 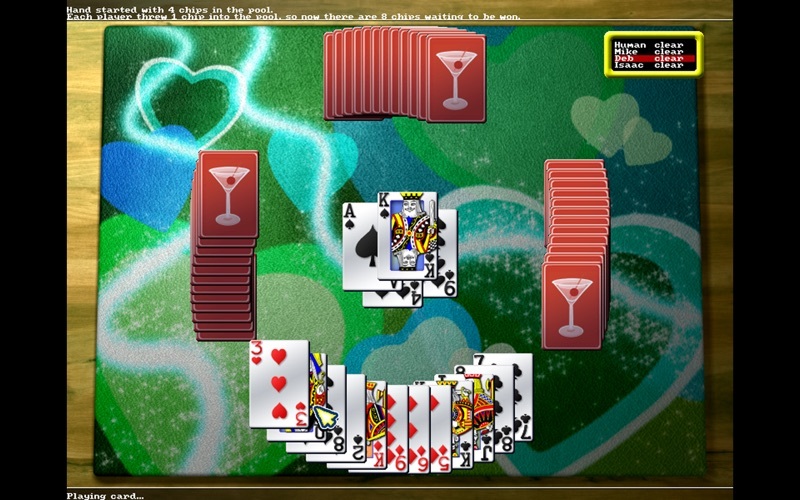 The player to the left of the dealer leads first. 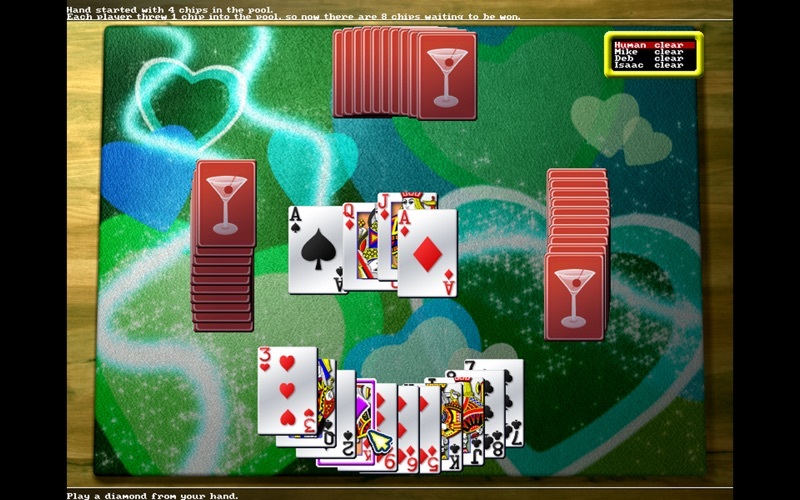 In Hearts, players must follow suit, but if unable to follow suit, may play any card. 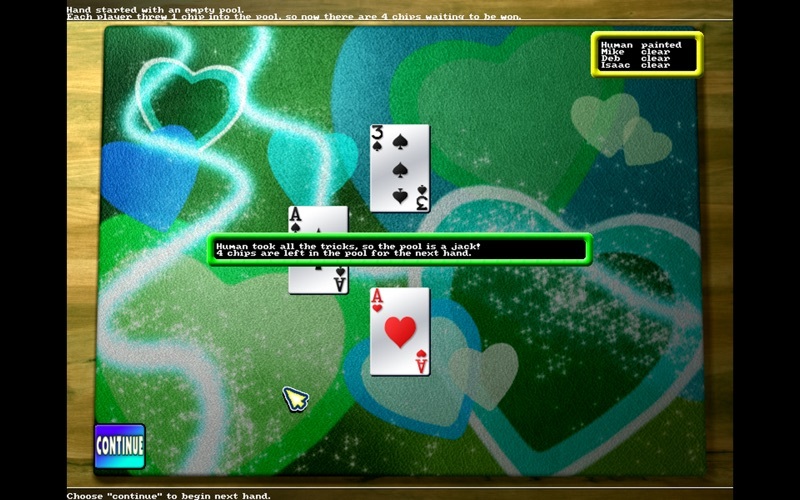 A trick is won by the highest card played on the suit led. Enjoy a soothing soundtrack and smooth animated gameplay. Includes detailed in-game rules and help. Classic card game fun for all ages! Various bug fixes. Optimizations so the game runs faster. Stability issues addressed.